Soccer October 15, 2015 cpgmgr 3 comments. When asked by his commentating partner, “What creativity?” Twellman did not divulge a detailed answer. But he, along with any passing observer, could easily attest that something was off: a USMNT crisis in 2015. Fans have buckled down at the bar, drinking this expensive cocktail, combining trepidation with hope and optimism for over twenty years, leaning on Donovan – who brought a different attitude, exuding the confidence that screamed with a laid back LA accent “we can beat anyone, anytime” – with Dempsey later coming to his side, saddling up, creating a partnership, and, more importantly, acting as the clear replacement to Donovan whenever he would leave the team, which had recently come to fruition. Both players, whether you liked them or not, had a “knack” – that ability to add a dangerous pass which other players cannot deliver just the right way. In the most recent 3-2 Mexico loss, Dempsey was absent much of the game, however, his few deft passes were effective, leading to near scores. He’s the leader, adding that extra element for his teammates. Every team has one. Messi, C. Ronaldo, Herrera and Guardado, Ramos and Preki, as well as Zidane and Platini in past years. If Dempsey, who is already battling injuries, goes down with another more serious injury, it would be very grim for the team’s immediate future. What bothers people is the lack of any obvious protégé waiting in the wings. You can’t mention Freddy Adu without someone checking your temperature, and then you’re accused of heresy. Yet, the same formula has been tried over and over, and look where it’s gotten us. The larger point is that it’s not about Adu or Dempsey carrying the team on their back. It’s about fielding a group of players in their likeness. There have always been guys like them, and there always will be. They’re out there. The idea is to corral them at the same time. 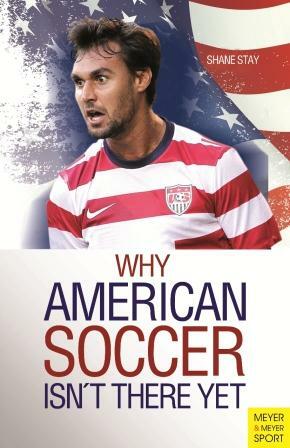 My book illustrates the answers to all these questions and dilemmas revolving around creativity – it illuminates how dribbling, passing within the two-man game, playing across the field, adding style and attacking with defenders will put the US on a different platform altogether. The beauty of the American fan is they will see this through, much like how Cub fans have stood by their team through two world wars, a moon landing and the introduction of the iPhone. The Copa America 2016 will be a great opportunity for the USMNT to prove they belong at the top. Brought to you by CPG News & Information Services. US soccer teams have a lot of stuff to work on. It takestrel some time for them to acquire those skills.